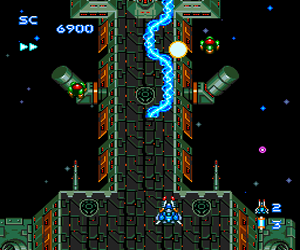 OverviewOne of the first and overall best titles offered by the TurboGrafx-16 system, Blazing Lazers is a vertical-scrolling shooter from the developers of Bomberman, DoReMi Fantasy and Puyo Puyo. 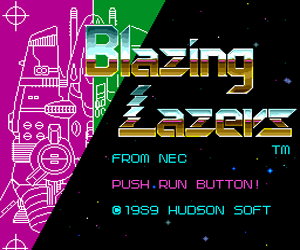 Blazing Lazers has also been re-released in the U.S. on Nintendo Virtual Console. 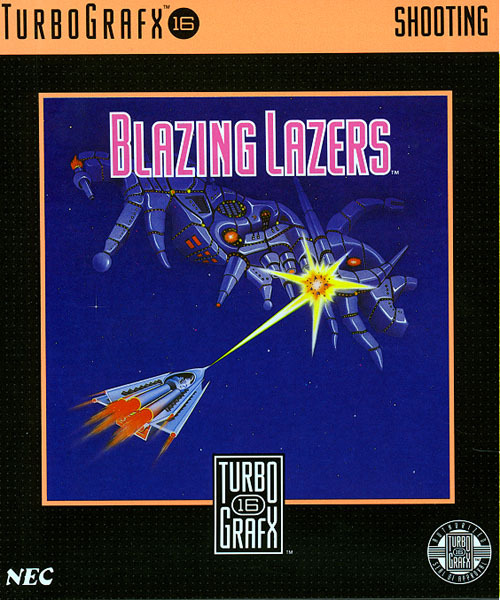 Blazing Lazers is a sci-fi shoot 'em up game developed by Hudson Soft and Compile. 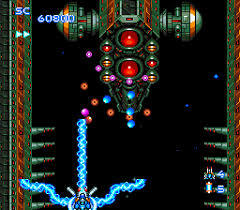 You take control of the Gunhed Star Fighter. 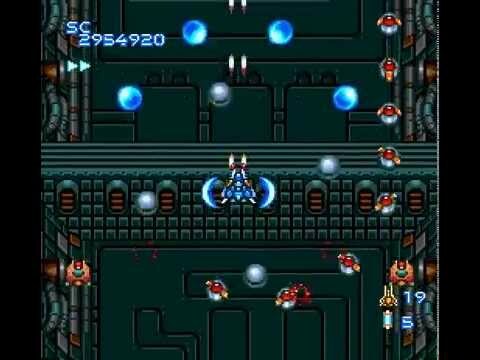 Your goal is to destroy the Dark Squadron. This game is quite interesting and fun to play with people who like this kind of games but it is quite hard too. Now you can add videos, screenshots, or other images (cover scans, disc scans, etc.) 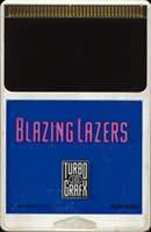 for Blazing Lazers (USA) to Emuparadise. Do it now! If you haven't noticed yet, we have a retro game of the day feature (top-right of the screen) wherein we feature a new retro title every single day! Now, you can vote for your favorite games and allow them to have their moment of glory. 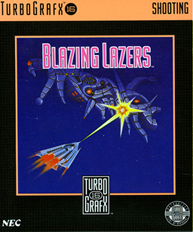 Click on the button below to nominate Blazing Lazers (USA) for Retro Game of the Day.